The sun set and undulating crowds wandered freely through Toronto. Every nook of the city became a new opportunity for memories, everyone felt part of an unspoken adventure. Pedestrians walked through streets holding hands, laughing, sharing ideas about which exhibit they were most looking forward to. 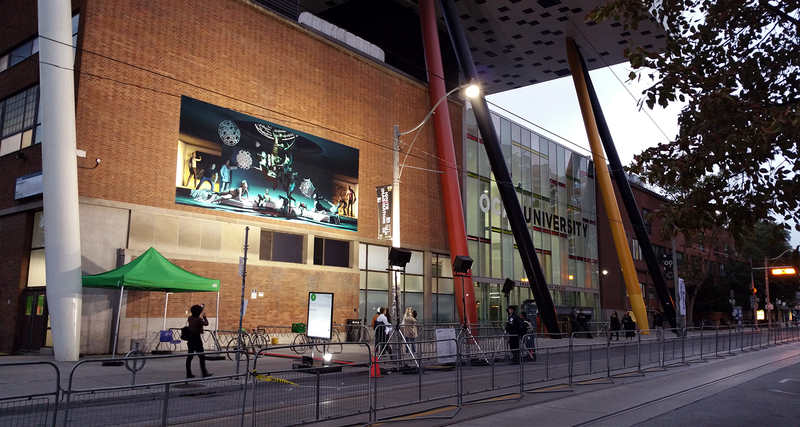 The Merging outside OCAD on 100 McCaul Street, just before nightfall. Nuit Blanche Toronto 2016 was an enjoyable collective public experience where art took over the city. 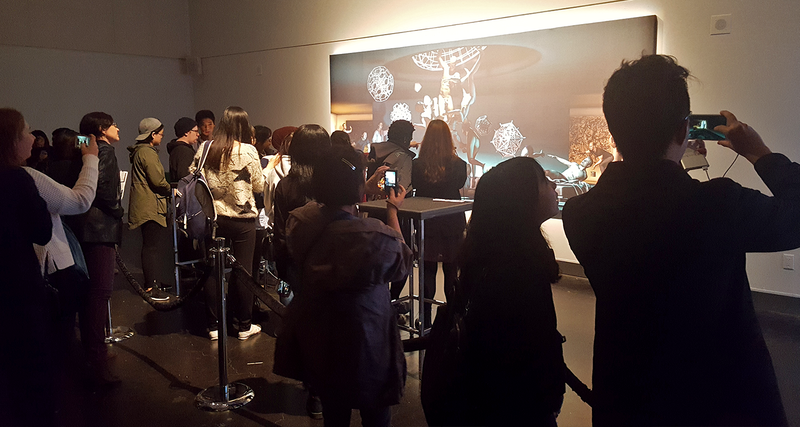 This was our first time participating in Nuit Blanche, and we were overwhelmed by the positive response The Merging exhibit received. 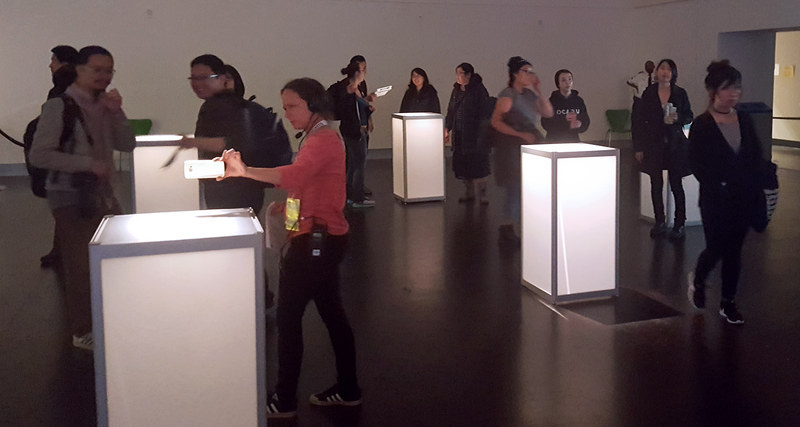 As a collaboration between SEED Interactive, Nicola Verlato and Quantum Capture, The Merging was part of the Militant Nostalgia exhibition held at OCAD University. The installation features an exterior and interior mural, as well as plinths with AR markers which can all be scanned with The Merging mobile app to see augmented reality sculptures in real-time. Interior plinths with AR markers. 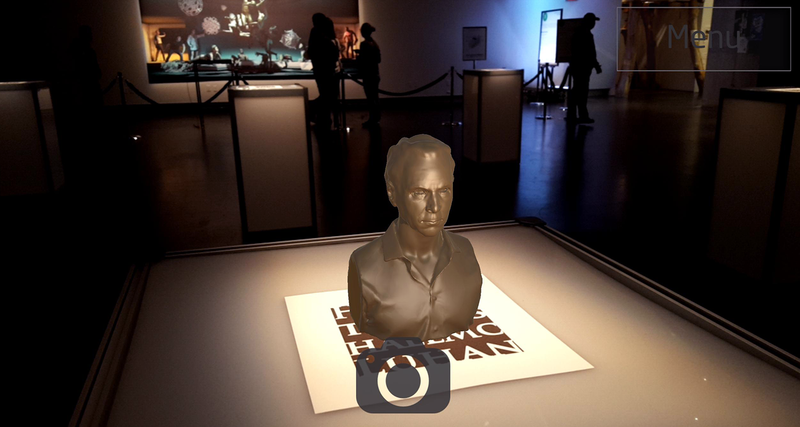 Toronto’s own Marshall McLuhan in AR-bust form. 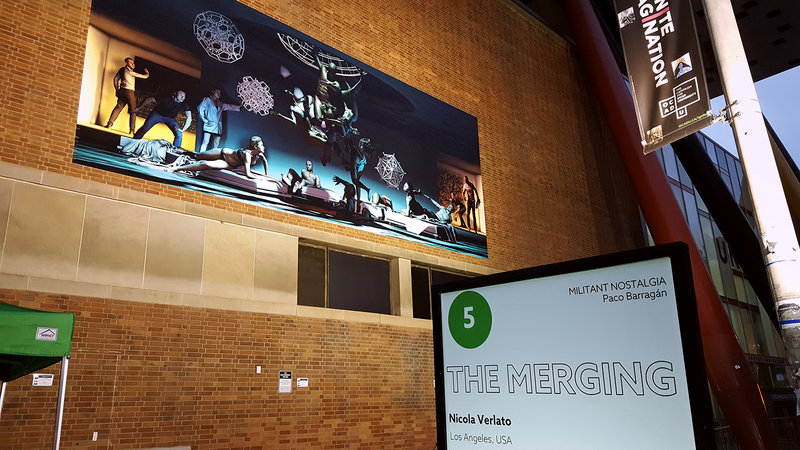 Through the use of [The Merging] app, the mural becomes an entity between our physical space and the space of the representations, inhabiting our world but also as a portal to infinite explorations. 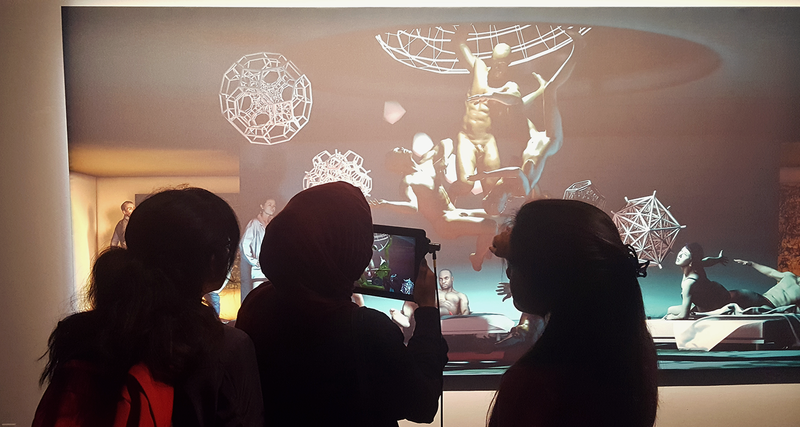 This combination of augmented reality tech and fine art leads to a refreshing new form of collective experience. 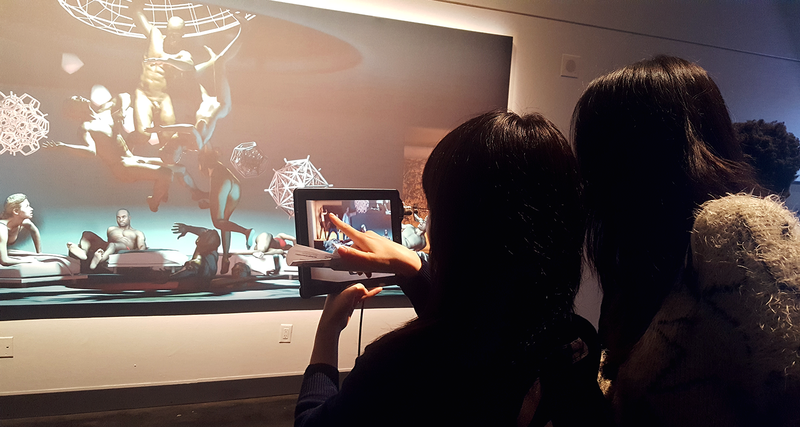 By gamifying galleries and museums, you can interact with art on another level and come away from the experience feeling like you’ve been immersed in something new. Artist Nicola Verlato demonstrates app outside. 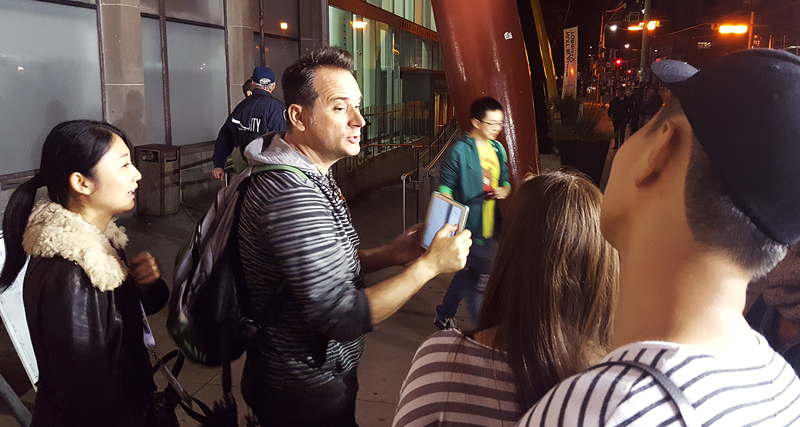 Nuit Blanche was a really fun time and it felt great engaging with the local art community in Toronto. This was our first time participating and we encourage everyone to go next year. With so many new exhibits featuring technological innovations like The Merging, the future of installations is intriguing. Artistic experiences are transformed into something new through our everyday gadgets. Click here to read our next post about the Making Of The Merging where we share insider-views on how this project came together. Thanks Amy, so kind of you! Hi Frank, you can contact us here via our Contact page. Thank you! We’re currently working to create a system where others can contribute articles to our blog. Check back in a few weeks and thanks for your interest! The place else could anyone get that type of info in such an ideal method of writing? Another great strategy for advertising and marketing a brand new product is getting influencers inside your niche to speak about you.